Here we go with another “By the Numbers” post for all my fellow social media statistic geeks. This time, we look at Pinterest statistics and facts. 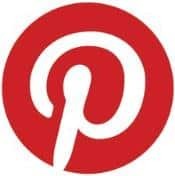 Pinterest launched in 2010 as a closed beta , invitation-only image sharing social website and by the time it was made available to the larger public in 2012, it had already collected over 10 million users and a bunch of accolades along the way. So, it took a little while for Pinterest to make a name for themselves in the tech world, but when they did, they grew pretty quickly and their user engagement levels went through the roof. Now, Pinterest’s growth has slowed a bit as it has matured into a more robust platform, but their stats are still very impressive. How many people use Pinterest? How many pins are on Pinterest?